I can do more. You can do more. We can all do more. As a town, a city, a country, a planet, a universe, we can all collectively do more to help. To help people. To help animals. To help causes. To help our planet and beyond. I am calling out to all of you to give back one percent. One percent of your yearly income, one percent of your time, one percent of yourself. One percent sounds small, and it is. That is precisely the point. It is an amount we can all comfortably survive without in order to lift society up collectively. When we help others, we make the universe a better place for us all to thrive. Start today with simply one percent. Just a few of the many great causes out there! Farm animals to those in need. Micro loans helping people get started. Healthcare funding for those in need. Toys and games for kids in hospitals. Support programs for low-income Nicaraguan children. 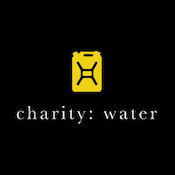 Providing clean water to those in need. Emergency medical care to millions of people caught in crises. End the illegal wildlife trade.